The purpose of this paper is to identify current trends regarding student perceptions of diversity on campus. Comparisons of perceptions based on gender and race are also examined. Based on campus climate survey data (Profile of the College Student Experience), obtained in coordination with the National Association of Student Personnel Administrators (NASPA) and Student Voice, collected from students (N = 1,278) enrolled at a large, public, land-grant university situated in southwest Virginia, findings indicate an overall, satisfactory perception of diversity existing on campus. Results also suggest that while the university is supportive of individuals with diverse, ethnic backgrounds, the institution needs to play a more active and intentional role in facilitating an environment conducive to the learning and understanding of the different dimensions of diversity contained within its student population. The benefits of a diverse student body have been have been extensively studied by institutions of higher education. As colleges and universities begin to acknowledge the emerging diversity of their student populations, and in order to better realize these benefits, it is important that student perceptions of diversity are examined and analyzed. “A fairly recent body or research has emerged that has contributed to understanding the potential educational benefits of racial-ethnic diversity in 4-year colleges and universities” (Denson & Chang, 2009 pg. 323). “Most of this empirical work has focused on three distinct forms of racial diversity: structural diversity (student body racial composition), curricular/co-curricular diversity (programmatic efforts that expose students to content about race/ethnicity), and interaction diversity (informal studentstudent cross-racial contact)” (Denson & Chang, 2009, pg. 323). Diversity has quickly pushed itself to the forefront of most academic institutions, due to the mounting evidence that the benefits of diversity have significant impacts on undergraduate education. Although the importance of diversity has been recognized, universities have failed to support diversity initiatives, due to their resistance for change. (Jr. & Martinez, 2002). This reluctance to change can be attributed to the fact that universities have not yet been able to successfully combine diversity with the educational goals of their schools (Jr. & Martinez, 2002). As resistant to change as universities are in their approach to diversity policy, there is a current and much needed surge in diversity research and assessment (Jr. & Martinez, 2002). As faculty and administrators universities begin to understand the implications of diversity upon their own individual student bodies and campuses, it is becoming glaringly apparent that diversity research is limited. As such, many campuses have implemented research efforts, in order to ascertain patterns and trends that will then determine appropriate courses of action. This study will focus on one research methodology that has gained significant attention from universities, surveys, specifically the campus climate survey. The purpose of campus climate investigations is to attempt to understand the various factors at work on a campus that possess the potential to influence student-student interactions. When administrators and faculty have a better understanding of the perceived campus climate, they can better inform current programs and departments, so that necessary changes can be made to improve university offered services. The obvious problem which extends from this effort is the “oversimplification of a complex issue,” to which Chatman asserts that “what is needed to adequately examine an issue of this complexity is a research design that is sufficiently inclusive and comprehensive” (2010, pg. 8). The answer for most university administration relies heavily on the use of campus climate surveys. Campus climate refers to the “formal and informal environment—both institutionally and communitybased— in which individuals learn, teach, work and live in a post-secondary setting” (Eggert, 1994, pp. 52-53). As such, “if diversity is considered as a means to an end (e.g. building and promoting an inclusive community), then diversity is important to higher education because it challenges higher education to develop educational policies and teaching practices that promote a civic culture inclusive of diversity” (Jr. & Martinez, 2002, pg. 54). Virginia Polytechnic Institute and State University (Virginia Tech) is a public, land grant, predominantly white university, located in southwest Virginia. The university has an on-campus population of roughly 29,000 students. Details about Virginia Tech’s on-campus, undergraduate student population breakdown by race and gender are shown in Table 1 and Table 2, respectively. Details about Virginia Tech’s off-campus, undergraduate student population breakdown by race and gender are shown in Table 3 and Table 4, respectively. These statistics were taken from Virginia Tech’s website page, Factbook: Student Overview. As demonstrated through Virginia Tech’s Principles of Community, the university is fully committed to the ideals of diversity and inclusion. In the creation of these principles by members of the Virginia Tech community, these statements articulate the university’s efforts in increasing inclusion on campus. Although all of the principles re-affirm the concept of diversity, the following principle arguably establishes Virginia Tech’s dedication the most: “We affirm the value of human diversity because it enriches our lives and the university. We acknowledge and respect our differences while affirming our common humanity” (Virginia Tech, 2005). In order to better serve its underrepresented student population, the university has launched various programs and initiatives aimed at producing a more inclusive community at the university. Because actual results of diversity-oriented programs are dependent upon student perceptions of the topic, the university is heavily invested in researching diversity within its own institution. This study is an attempt at investigating this topic. Broadly understood, for the purposes of this study, “diversity is used as a broad and encompassing term that includes awareness and appreciation for human differences such as race, ethnicity, religion, gender, sexual orientation, physical and mental ability, age and so forth” (Luther, Seeberger, Phelan, & Simpson, 2011, pg. 16). The purpose of this study was to analyze student perceptions of diversity on campus. Comparisons of perceptions based on race and gender are also included. What are student perceptions of diversity at Virginia Tech? Do students’ perceptions of diversity at Virginia Tech differ by race (majority v. underrepresented status)? Do students’ perceptions of diversity at Virginia Tech differ by gender? The report is organized in four sections. The background and purpose of the study are addressed in the first section. Section Two describes the method used to select the sample and to collect and analyze the data. The results are reported in Section Three and the implications of the results are presented in the final section of the report. This study utilized secondary analysis, drawing conclusions and interpretations from an already pre-existing data set, obtained from a survey conducted by the Higher Education Department, in conjunction with the National Association of Student Affairs Professionals (NASPA). This is Virginia Tech’s 3rd year participating in the survey, Profile of the College Student Experience. The survey was sent out to a total potential sample of 7,059 Virginia Tech students. The same sampling strategy utilized for the 2008 and 2009 NASPA surveys was used to compile the sample. Stratified random sampling was used and the sample was stratified by gender, ethnicity, and class level. In order to guarantee an adequate sample for the data analysis, underrepresented groups were oversampled. After Dr. Martha Glass, Associate Director of Administration for Assessment at Virginia Tech, obtained Institutional Review Board (IRB) approval, the sample was created by Virginia Tech’s Office of Institutional Research & Effectiveness (OIRE), which pulled e-mail addresses from the undergraduate student population enrolled in spring 2012. Of the potential sample invited to participate in the survey, there were 1,278 respondents, but only 959 completed surveys. This corresponds to a 13.5% response rate. Of the 959 completed surveys, the breakdown by class is as follows: 26% were freshmen, 25% were sophomores, 32% were juniors, and 17% were seniors. The breakdown by gender was 54% female and 46% male, while a large majority of the respondents (80%) were White. Table 5 outlines how well the sample population matched up with Virginia Tech’s total student population. The instrumentation used for this study was the Profile of the College Student Experience survey, established by NASPA, in partnership with Student Voice, a 3rd party organization dedicated to “collecting information from students that can be used to impact programs and services” (Campus Labs, 2001). The survey elicits information from participants in four4 major categories: (a) technology; (b) campus climate (diversity/campus safety); (c) civic engagement; and (d) student characteristics. Information from the campus climate, specifically diversity, as well as student characteristics categories were examined for the purposes of this study. The diversity section covers a wide range of diversity-related issues, from student perceptions of diversity on campus to student perceptions of how supportive the university is of certain groups and classes of individuals. Through the use of Likert scale items, participants are asked to indicate their level of agreement with a series of statements, which include, “Virginia Tech is supportive of people with diverse ethnic backgrounds” and “I take advantage of the opportunities provided by Virginia Tech to learn more about diversity-related issues”. Students are also asked to indicate their level of agreement with the following statements: “Virginia Tech is diverse” and “I personally add to the diversity of my campus”. Student Voice handled data collection, as well as the actual distribution and administration of the surveys. After receiving IRB approval, the list of student e-mail addresses compiled by the OIRE was made available to Student Voice, who then sent out the e-mail containing both an explanation of and invitation to participate in the survey, as well as a link to access the survey. The initial e-mail was sent to the potential sample on February 27, 2012 and 3 reminder e-mails were sent out on the 5th, 12th, and 16th of March. A copy of the initial e-mail, as well as the 3 reminder e-mails can be found in Appendices L, M, N, and O respectively. Data obtained from the survey was coded according to gender and race. Comparisons were then made to determine if there were any significant differences among responses from male v. female and majority v. underrepresented. Chi-square analyses were used in these comparisons. In order to gauge student perceptions of diversity, chi-square analysis was used to determine if any significant differences in responses existed between race and gender. General perceptions of diversity are also discussed in this section. Results show a large majority most students of respondents believe Virginia Tech to be supportive of international students, as well as students with diverse, ethnic backgrounds. 58.99% indicated that they strongly agreed with the statement regarding international students and 48.41% strongly agreed that the university is supportive of diverse ethnic individuals. The percentages of agreement for the statement, “I take advantage of the opportunities provided by Virginia Tech to learn about diversity-related issues” are less affirmative. When assessing the responses “Strongly agree” and “Somewhat agree” together, it is one of only two of the ten total statements that does not achieve a majority when combining these two response categories, only obtaining 28.38% of the respondents for that particular item. The other item being, “Virginia Tech is supportive of people who identify as transgender,” which only receives 31.35% of the total, when combining the two responses indicating agreement. Just as levels of agreement, whether “Strong” or “Somewhat”, tend to hold the majority of responses for most of the survey items, levels of disagreement, both “Strong” and “Somewhat” tend to be low. The only exception to this trend can be seen in the percentage for the “Somewhat disagree” response for the item pertaining to Virginia Tech supplied opportunities for diversity learning, which received 23.78% of the total. The same response received 10.38% for the statement, “Virginia Tech is accessible to people with physical disabilities”. Differences by Gender. There were significant differences in responses based on gender for a number of the survey items. Table 7 outlines these particular item. Findings suggest that females had higher percentages of agreement and lower percentages of disagreement for each survey item where a significant difference in response was found between genders. The inverse also holds true for males, holding lower percentages of agreement and higher percentages of disagreement for two of the four questions. However, there was little difference for the response “Neither agree nor disagree,” where males and females had similar percentages. It might be significant to note that males had higher percentages when responding with “No basis to judge”. In fact, the differences in percentages for this particular response are the largest differences in gender responses for all applicable survey items, suggesting that females may view the climate on campus as more accepting. As each respective chi-square analysis test indicates, there is a significant difference in responses between males and females. As the p-values of each survey item are all smaller than the level of significance (0.05), they are all statistically significant results. The four survey items are outlined in better detail, with regards to the specific statistical analysis performed in Appendices A, B, C, and D.
Differences by Race. There were also significant differences in responses based on race as well. Tables 8 and 9 outlines these particular items. It is important to note that for statistical purposes, for some of the survey items, certain races had to be combined together. Had they not been combined, statistical analysis would not have been possible. Any instance of this combination is noted in its appropriate table. Findings suggest that overall, among all races, there is a general acceptance of the statement, “Virginia Tech is diverse,” with the exception of the Black/African American group which had 30.8% of its respondents answer “Strongly disagree” to the item. In response to the survey item, “I take advantage of the opportunities Virginia Tech provides to learn about diversity-related issues,” similar to the results with gender, the majority within each race replied with “Neither agree nor disagree”. The only exception to this trend was with, again, African Americans, 61.5% of which (combination of “Strongly agree” and “Somewhat agree”) answered that they agree with the statement, at least on some level. The categories White and Multiracial had significant percentages amongst the “Somewhat disagree” answer choice for the particular survey item. A large percentage of the underrepresented group (86.5%, a combination of “Strongly agree” and “Somewhat agree”) responded positively to the item, “I personally add to the diversity of my campus,” while the majority responded similarly, albeit, with less of a significant percentage (46.9%) when compared to the underrepresented group. Inversely, the majority group had higher percentages in agreement with the statement, “Virginia Tech is supportive of people who identify as lesbian, gay, bisexual, or queer,” compared to the underrepresented group. This trend persists, although not as strongly, for each following survey item. As each respective chi-square analysis test indicates, there is a significant difference in responses between races. As the p-values of each survey item are all smaller than the level of significance (0.05), they are all statistically significant results. The seven survey items are outlined in better detail, with regards to the specific statistical analysis performed in Appendices E, F, G, H, I, J, and K.
Because the purpose of this study was to determine if any significant differences in student responses of diversity perceptions existed by race and gender, this section will discuss the implications of such differences for the university. Recommendations and limitations of the study will also be examined within this section. In terms of results, it was found that there were more survey items with statistically significant differences for race than gender. It was also found that majority students had a more positive outlook of the university in terms of diversity, as compared to underrepresented participants, who still reported a positive outlook, just not as optimistically as majority students. Many significant findings were made throughout the analysis of this survey, but the most surprising piece of information deals with university sponsored opportunities for diversity learning and whether or not students actively engage in these opportunities. As indicated in Section Three, the responses of the majority of both male v. female and underrepresented v. majority comparisons were found in the “Neither agree nor disagree” category. Underrepresented students and majority students alike all reported percentages consistently in the 25-35% range, while 21.4% of males even reported that they strongly disagreed with the statement, implying that they willingly chose to avoid these opportunities. Because of the phrasing of the statement, it can be safely assumed that students feel that there is an adequate amount of opportunities. Rather, it should be implied that they simply choose not to pursue them. Based on the findings, it would appear that the incentives for embracing these diversity oriented opportunities are ineffective at appealing to a majority of Virginia Tech’s student body. At this point, it becomes a matter of relevance. How does one make accepting diversity relevant enough to students, so that it will stick? The answer has long eluded higher education institutions, but I believe the answer lies in developing the relevance of diversity, both in teaching and application. The difficulty in this however, lies in the fact that unless the university lays out and adheres to its own specific definition of diversity, students will not be able to make any significant strides toward embracing it. Understandably, each and every individual has a preconceived notion of diversity that comes to mind when it is mentioned. Thus, diversity is certainly not a new topic in the slightest. The problem arises from these many interpretations of diversity. For example, an underrepresented student involved in a cultural, student organization on campus might view spending time with individuals of similar ethnic backgrounds as a means of support and solidarity. At the same time, a majority student may view the same action as self-inflicted segregation or an unwillingness to interact with others of differing backgrounds. This is where the trouble originates and it is here that the university must start its battle to make diversity a more worthwhile concept to its students. In articulating a firm definition of diversity, the university allows for its students to come together and interact on the same page. If the goal of diversity initiatives on campus is to enhance cross-racial/ethnic interactions, students need to be able to communicate on some common ground. In furthering this argument concerning pinning down exactly what diversity means, the findings also suggest that many students are already on the right path. 12.9% and 34.0% of the majority group strongly and somewhat agree, respectively, that they personally add value to the Virginia Tech campus. This finding is significant in pointing out that students seem to be cognizant of the many working dimensions and applications of diversity. Diversity is not simply a black and white issue, although there are still many that have accepted this as their personal meaning of diversity. Diversity has developed to include gender, race, religious affiliation, sexual orientation, and much more, so to observe that nearly half of the majority students who participated in this study agree with this statement on some level is encouraging. Part of getting the student body to embrace diversity is educating them on what is and is not considered to be a facet of diversity. Articulating a specific definition is a part of this, as well as emphasizing cross-racial/ethnic interaction. The results also indicate a greater percentage of majority students reporting their belief that Virginia Tech is supportive of people from diverse ethnic backgrounds than with underrepresented students. The same trend persists for the survey items concerning international students and whether or not Virginia Tech is diverse. 52.6% of majority students, as compared to 34.6% of underrepresented students, strongly agree that the university is supportive of those from diverse backgrounds, while 63.4% of majority students, as compared to 43.7% of underrepresented students, strongly agree that the university is supportive of its international students. This might simply stem from the logistics of the university. Virginia Tech is a predominantly white university and it is common for majority students to go their entire lives without interacting with more diverse individuals until they enroll in college. Perhaps the reason that the percentage for majority students was higher in both instances is because, in some cases, this may mark any significant, first-time interactions with diverse individuals. So naturally, majority students will be more prone than underrepresented students to report that the university is diverse and not only that, but supportive of its diverse student population. As with any study, there are limitations to this particular investigation. Some limitations had to do with the sample and respondents of the survey. Although it was addressed in the construction of the study by oversampling underrepresented students, there were still far more majority students than underrepresented students in the final count for total survey respondents. Thus, it cannot be concluded that the differences observed between races was solely because of race as a factor. The large amount of majority students compared to the limited number of underrepresented students may have influenced the chi-square tests performed to assess race. In addition, because of the requirements of the statistical analysis used, racial groups had to be combined to form a more generalized minority group. In doing so, the opportunity for exploring any significant differences between these racial groups had to be abandoned. As mentioned before, I would advise the university to begin by explicitly defining diversity for it’s own purposes and goals. Second, the university needs to continue and push for diversity education, through curriculum, workshops, and seminars. In order to make diversity more relevant for students, the university should encourage and recognize those that strive to enhance cross-racial/ethnic interactions, both student and faculty alike. Similarly, further studies should be conducted to investigate these same diversity issues, preferably long-term, longitudinal studies. Studies should also be done to address questions arising from this present study, as well as to assess the reliability, validity, and practical application potential of the results obtained. In conducting these future studies, it would be beneficial to make note of when diversity perceptions change, so that programs and services can target these times to reflect these changing perceptions. Lastly, as a recommendation, faculty should also be educated and trained in how to better accommodate such a large and diverse student body. Workshops and seminars geared specifically toward administrators and faculty may also benefit the university in the long term. In conclusion, perceptions of diversity at Virginia Tech, as indicated by this study, are generally positive, for underrepresented and majority students alike. Working off of the data obtained from this study, Virginia Tech and the Division of Student Affairs can strive towards applying programs in order to foster awareness and acceptance of diversity on campus, as well as enhancing relations and interactions amongst underrepresented and majority students. Denson, N., & Chang, M. J. (2009). Racial Diversity Matters: The Impact of Diversity-Related Student Engagement and Institutional Context. [Article]. American Educational Research Journal, 46(2), 322- 353. Effectiveness, O. o. I. R. University Facts & Figures: 2011- 2012 (pp. 41): Virginia Tech. Eggert, P. (1994). Assessing campus climate: Implications for diversity. [Article]. New Directions for Institutional Research, 1994(81), 51. Jr., A. A., & Martinez, R. (2002). Leadership Practices and Diversity in Higher Education: Transitional and Transformational Frameworks. [Article]. Journal of Leadership & Organizational Studies (Baker College), 8(3), 53-62. Luther, F. D., Seeberger, D. M., Phelan, S., & Simpson, S. (2011) Diversity Awards: Incentives for Enhancing Campus Climate at the Postsecondary Level. [Article]. Delta Kappa Gamma Bulletin, 77(4), 15-20. *** Underrepresented group includes Asian/Pacific Islander, Black/African American, Latino, Middle Eastern, Native American, while Majority signifies White. Please indicate your level of agreement with the following statements: - I take advantage of the opportunities provided by Virginia Tech to learn about diversity-related issues. a. 0 cells (.0%) have expected count less than 5. The minimum expected count is 33.26. Please indicate your level of agreement with the following statements: - Virginia Tech is supportive of people who identify as transgender. a. 0 cells (.0%) have expected count less than 5. The minimum expected count is 5.99. Please indicate your level of agreement with the following statements: - Virginia Tech is supportive of students with nonphysical disabilities (e.g., learning disabilities, Attention Deficit Disorder). a. 2 cells (16.7%) have expected count less than 5. The minimum expected count is 2.76. Please indicate your level of agreement with the following statements: - Virginia Tech is supportive of people with psychological disabilities (e.g., anxiety disorders, mood disorders, depression, bipolar disorder). a. 0 cells (.0%) have expected count less than 5. The minimum expected count is 7.86. Please indicate your level of agreement with the following statements: - Virginia Tech is diverse. a. 11 cells (44.0%) have expected count less than 5. The minimum expected count is .77. Please indicate your level of agreement with the following statements: - I personally add to the diversity of my campus. a. 2 cells (13.3%) have expected count less than 5. The minimum expected count is 1.64.
a. 8 cells (32.0%) have expected count less than 5. The minimum expected count is 2.55. Please indicate your level of agreement with the following statements: - Virginia Tech is supportive of people who identify as lesbian, gay, bisexual, or queer. a. 3 cells (25.0%) have expected count less than 5. The minimum expected count is .78.
a. 2 cells (16.7%) have expected count less than 5. The minimum expected count is 1.73. Please indicate your level of agreement with the following statements: - Virginia Tech is supportive of people with diverse ethnic backgrounds. a. 2 cells (16.7%) have expected count less than 5. The minimum expected count is .95. Please indicate your level of agreement with the following statements: - Virginia Tech is supportive of international students. You have been randomly selected by Virginia Tech to complete a survey about topics that are relevant to you and your peers. This national survey of college students will provide Virginia Tech with information on your college experiences. Data collected from this project will be used by administrators to make informed decisions about programming and/or policies that can impact you and your peers. This study involves completing an online questionnaire that focuses on the topics of civic engagement, use of technology and social media, student characteristics and demographics, and perceptions of campus climate and campus safety. Participation in this study is entirely voluntary, such that refusal to participate will not involve penalty or loss of benefits. You may discontinue participation at any time without penalty. Completion of the survey will take approximately 10-15 minutes. Please note that all of your responses will be kept completely confidential and all resulting data will only be reported only in the aggregate. By clicking on the link below you are indicating your willingness to participate in the survey. Please note that if you cannot complete the survey in one sitting you can pick up where you left off previously by clicking on the link above. As such, please refrain from deleting this email until you have completed the survey. If you have further questions or concerns about this study, you may contact Dr. Martha Glass, Associate Director for Assessment, Division of Student Affairs, Virginia Tech, dsaasksyou@vt.edu. This study involves completing an online questionnaire that focuses on the topics of civic engagement, use of technology and social media, student characteristics and demographics, and perceptions of campus climate and campus safety. Participation in this study is entirely voluntary, such that refusal to participate will not involve penalty or loss of benefits. You may discontinue participation at any time without penalty. Completion of the survey will take approximately 10 - 15 minutes. Please note that all of your responses will be kept completely confidential and all resulting data will only be reported only in the aggregate. By clicking on the link below you are indicating your willingness to participate in the survey. Thank you in advance for your participation! If you have further questions or concerns about this study, you may contact Dr. Martha Glass, Associate Director for Assessment, Division of Student Affairs, Virginia Tech, dsaasksyou@vt.edu. This is a reminder to please participate in this important study. This survey will close on March 18th, 2012. This is a final reminder to please participate in this important study. This survey will close on Sunday, March 18th, 2012 at midnight. Thank you for your time. 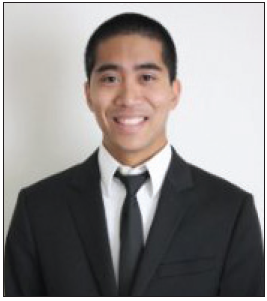 Mark Managuio is pursuing dual degrees in political science with a legal studies concentration and sociology. He is graduating in May 2013 and plans to attend graduate school for higher education administration. He would like to thank Dr. Martha Glass, associate director of administration for assessment, Dr. William Lewis, vice president of diversity and inclusion, C. Ray Williams, director of Multicultural Programs and Services, those from the McNair Scholars Program, and the Undergraduate Research Institute.